While Business Process Management (BPM) is a separate topic, it can be very closely associated with document management and workflow. Almost all business processes involve documents. Business processes also include decision making. Workflow process, or at least automated rules-based workflow, includes the process of identifying and electronically documenting, or mapping, your business process and the rules associated. This enables systems to make rules-based decisions thereby speeding up your organization's ability to conduct business. Today, your business workflow is known by employees who perform various functions in different departments. Your processes are an invaluable asset for your organization. Yet every day, your employees go home at night taking this knowledge with them. When they call in sick, or resign, or get promoted, who takes over their responsibilities? And, most importantly, do their replacements know what to do? Even worse, are you paying your employees to do mundane tasks? An employee's value is not in performing repetitive tasks, but in making decisions that cannot be automated. Why then do we pay to have people do the same thing every day? Sure, not all tasks can be fully automated, but when you have a defined document management workflow, your staff will be much more productive. What is Business Process Management? It is taking the time to understand your business processes so you can determine what the right processes should be. Just because an organization has been following the same process for years does not mean it is an efficient process. BPM first analyzes what the current business processes are, the as-is state. The next step is to determine what the optimal processes should be, the to-be state. Once you have identified, mapped and streamlined your processes, you can then automate the workflow to eliminate the steps that previously required staff. 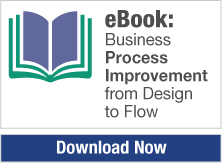 This is the power of BPM and Workflow process automation. If you choose to automate workflow process with your document management system, this involves identifying the documents as well as the steps for each individual process. In our invoice example, we might add processes where the department requesting the original purchase submits a purchase request. The system might review the request to determine if it is within budget, or has an approved vendor. If everything satisfies the defined rules, the purchase request could be automatically approved and a purchase order could be generated. If something is outside of the automatic approval rules, the purchase request could automatically be routed to a higher level person for approval. Once that person approves or declines the request, the next automated step in the process can take place. Let's skip ahead to when the vendor ships the purchased goods. A receiving document could have been scanned in at the loading dock, triggering an automated notification to the department to pick up or inspect their shipment. The next step might be for a departmental approval of the shipment. Again, once the shipment was accepted a notification to accounting could be generated to pay the invoice and take the discount that was offered. The above scenario may, or may not, be even close to what your business rules are. It does not matter. 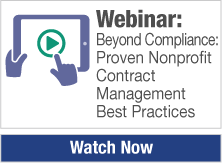 BPM is the process of indentifying your rules so you can automate your processes. Further, BPM is not just for an accounting process. You can use Business Process Management to analyze any business process in your organization from sales to HR and from contract generation to processing claims. Every business is different and has different needs. What never changes is that most processes can be automated to improve efficiency. Our last piece of the document management puzzle is records management and compliance. What is Document Retrieval? << Previous Page • Next Page >> What is Records Management?